Corby Lighting LED Reflector Dimmable Lamp R63 6W E27/ES 450lm Warm White is rated 4.2 out of 5 by 9. Rated 5 out of 5 by allan49 from Corby Dimmable R80 LED Spotlight I needed a dimmable LED R80 spotlight as a replacement for a 42 watt Halogen R80 spotlight (60 watt tungsten equivalent). It was very difficult to find a dimmable LED equivalent with the correct warm white light. The Corby lamp works very well - an ideal replacement. Rated 5 out of 5 by TheEdCase from Bright and effective Currently operating alongside non LED lamps in a dimmer setup without problems. Brighter than expected based on its 800 lumens and competing with 100 watt traditional reflectors. Doesn't dim completely in the current setup but enough that it is not a real problem. Rated 5 out of 5 by Bob the biker from Bright In fact too bright, so I returned it. Rated 4 out of 5 by AjarB from Great light but too short for fitting Bought this to replace original incandescent lamp in ceiling flush fitting, on fitting found lamp is too short by ~5mm to reach the end of the fitting as intended. 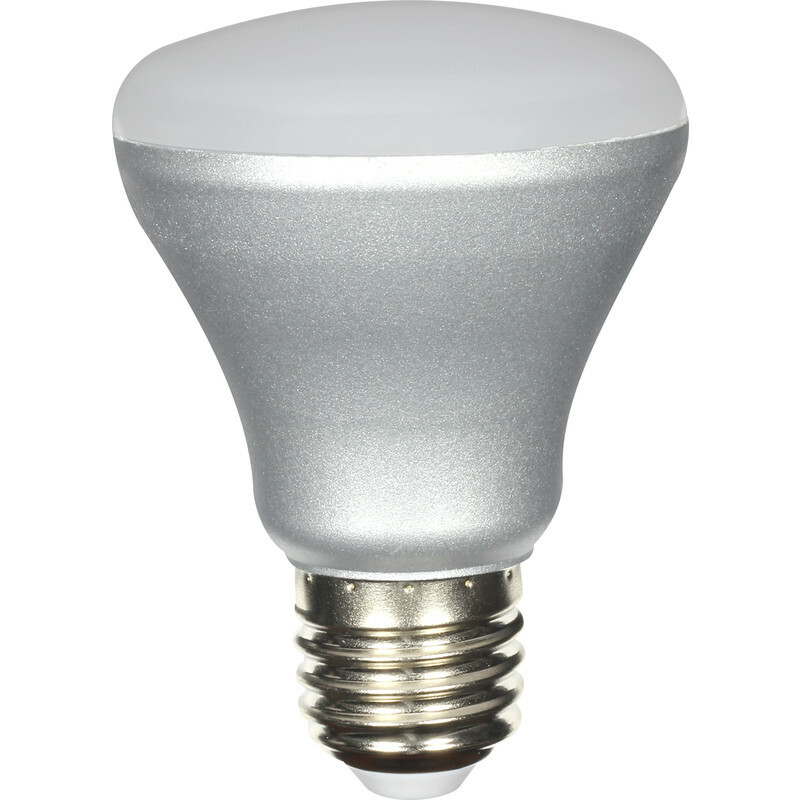 Light output is very good but adversely affected by the recessed fit, so will be returning. Rated 4 out of 5 by AjarB from Good response and lots of light evenly spread Great light, but is a little longer than incandescent original and protrudes from the light fitting enough to notice, but not too much to matter.